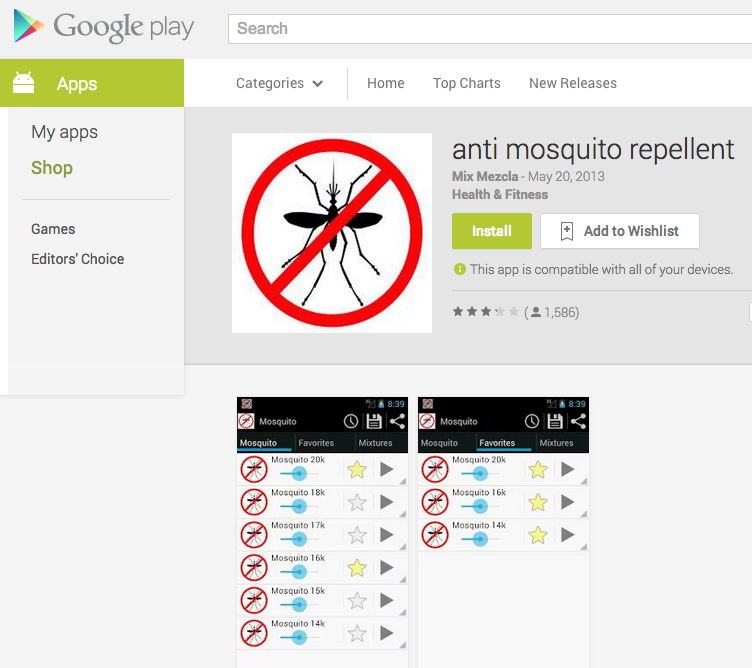 I'm not believing yet that sonic mosquito repellent apps really work, but there are many dozens of free (I love free) apps to try out, although failure is an itchy outcome. You'll find them for both Android and iOS. 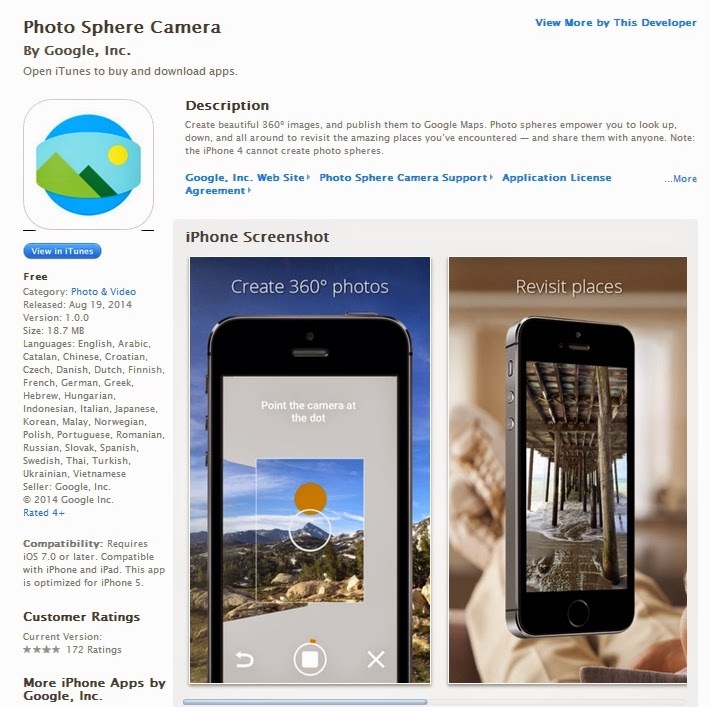 Google has released a version of its Photo Sphere Camera for the iPhone/iPad, making it super easy to create 360 degree images. Position yourself in the middle of the area you want to capture and start the app. Move the white outlined circle over the orange circle and it takes that picture automatically. Turn left or right a little to find the next orange circle. Repeat that process, left and right, up and down until all the need pictures are captured. 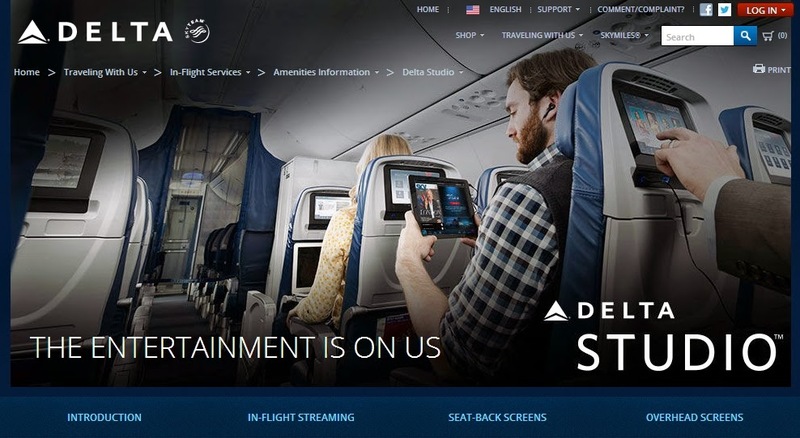 I'll be checking out the new Delta Studio during my trip next week to Key West, Florida, hoping I can watch Spiderman 2 on my iPad. I'll post my review after the Labor Day holiday. There are moments where I yearn for days of my youth, being able to go to bed without the hassle of making sure my battery-powered mobile device life will be 100% charged for me in the morning. But at least I no longer have to fish the power cords off the floor, thanks to my new Quirky Cordies cable organizer. Thanks to my co-worked Barb for the great idea! I have a tray in my 2004 Jeep Grand Cherokee that makes a great place for my HTC One M8 to rest while driving around listening to Pandora radio. The problem has been that the tray is plastic and slippy (a word commonly used in Pittsburgh), and most left or right turns would cause the smart-phone to fly away. I can't fault Jeep; the car was built 4 years before the iPhone was invented, although the true usefulness of the tray is a mystery to me. I knew I needed to make the tray's surface "stickier", and I recently found the perfect solution - spray-on rubber coating. 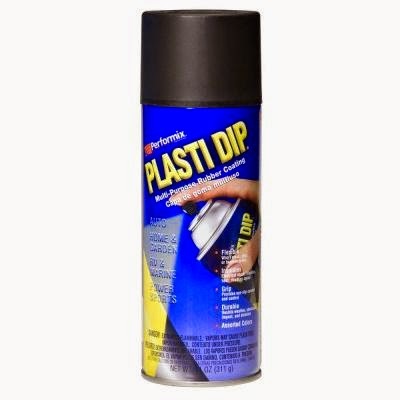 Three coats and the problem's solved. 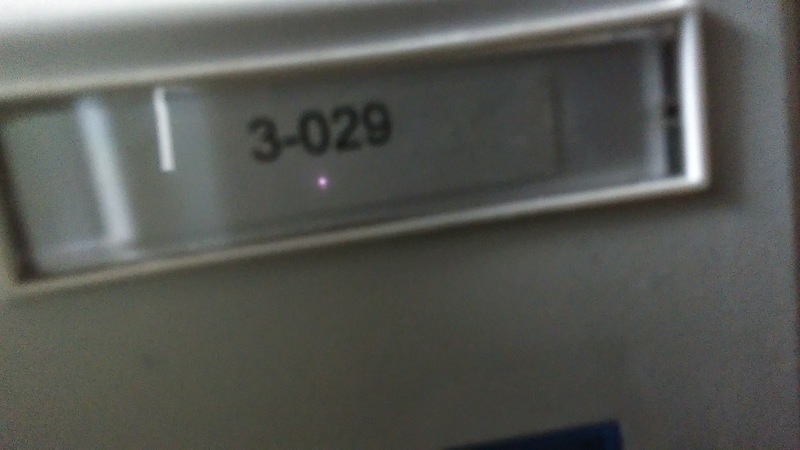 Yesterday I needed to document some phone/data jack numbers and ran across a couple behind office furniture with only a two-inch clearance, fairly dark and with no clean line-of-sight. But I was armed with my swiss-army-knife, app-loaded smart-phone. I first tried the Color Flashlight app to illuminate the area, but the viewing angle was too severe. Second attempt was the Camera app, but the picture turned out way too fuzzy due to its long focal length. But if the normal camera has a longer focal length, perhaps the front-facing "Selfie" camera was shorter. Bingo! Success, as shown in the photo below. 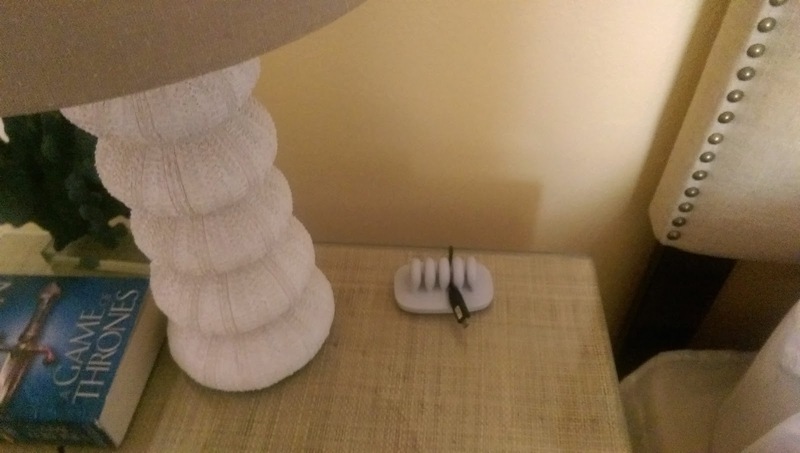 How many attempts does it take to plug in a USB cable? 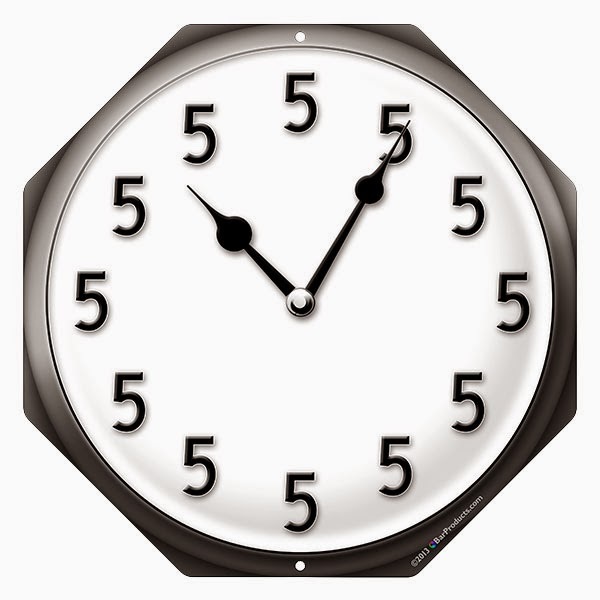 For me, it's about 3, although 1 1/2 should be the mathematical answer since it should be upside-down only half the time. 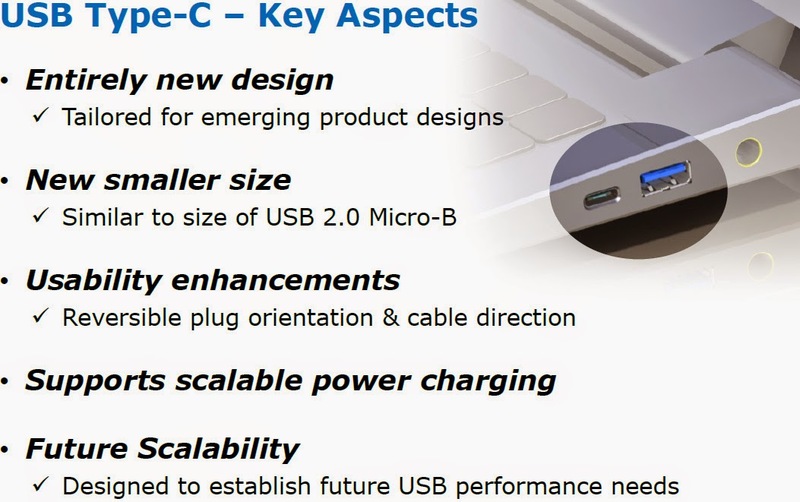 Fortunately a solution is forthcoming with the next generation's USB 3.1 cables being bi-directional, so there is no upside-down. Of course it's also faster (what new tech isn't?) and is built for the future (ditto), but fixing its most annoying feature is the best. And wow, it only took 17 years. Hands down, kayak.com is my go-to website for travel planning when I know where I want to travel. 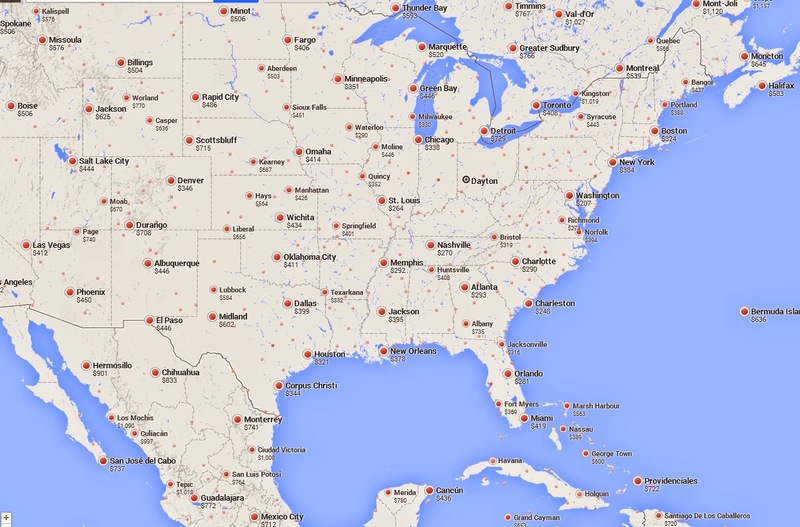 But when I'm exploring options, looking at the Map View within Google Flights lets my imagination take over. Can't remember where you put that old Atari and have a hankering for a 1970's game? Atari Breakout is a few web browser clicks away. 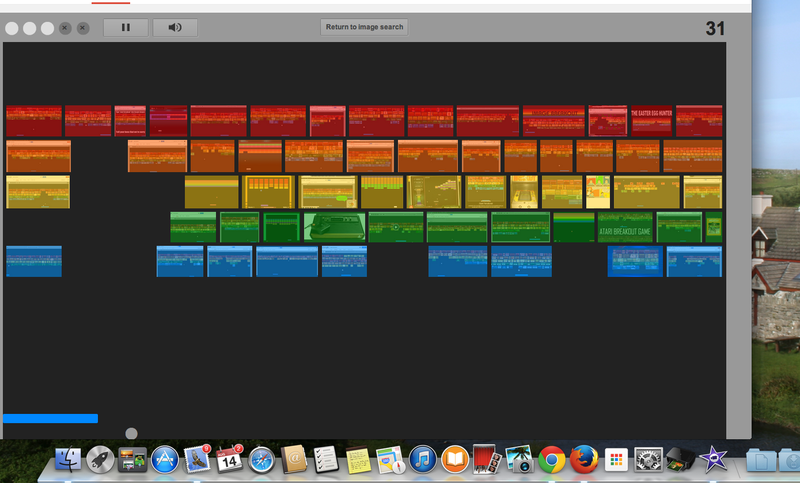 Just do a Google Image search for "Atari Breakout", or click the link below, and test your eye-hand-mouse coordination. I may have been the last person on this planet to hear this saying. 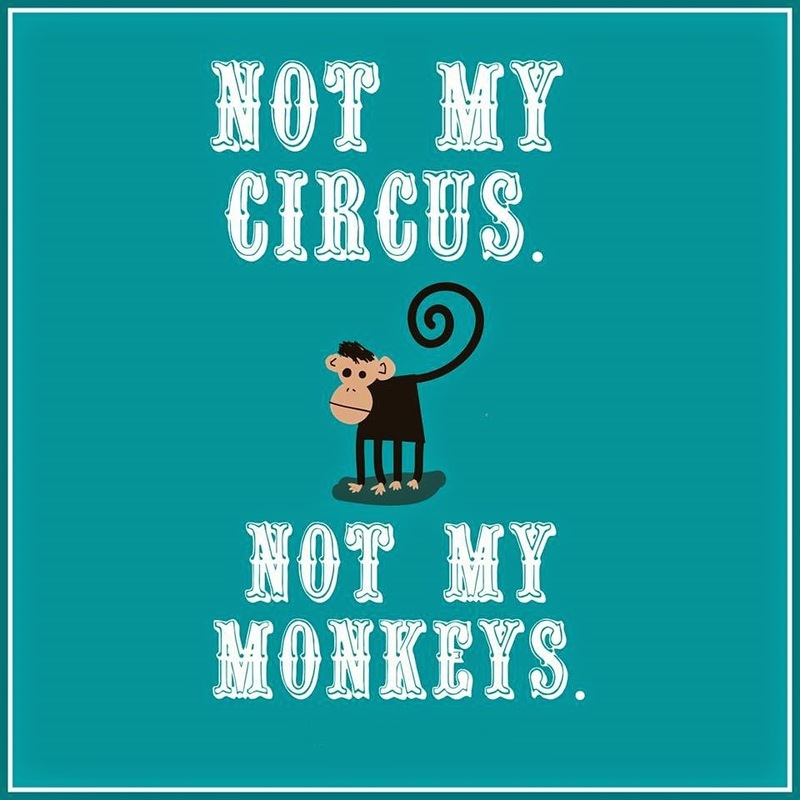 An amazing six words that fits work, family drama, the PTA and many other situations. Have you noticed the "Unsubscribe" link to the right of the sender's address in some of your emails, as I've highlighted in the picture below? 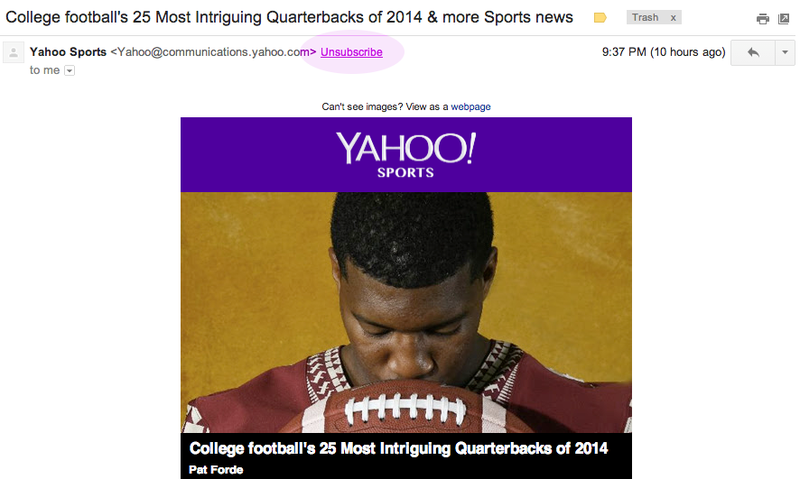 If the sender has included an unsubscribe link in the email, which is usually buried at the bottom somewhere, and Gmail recognizes it, you will see the handy link front and center. 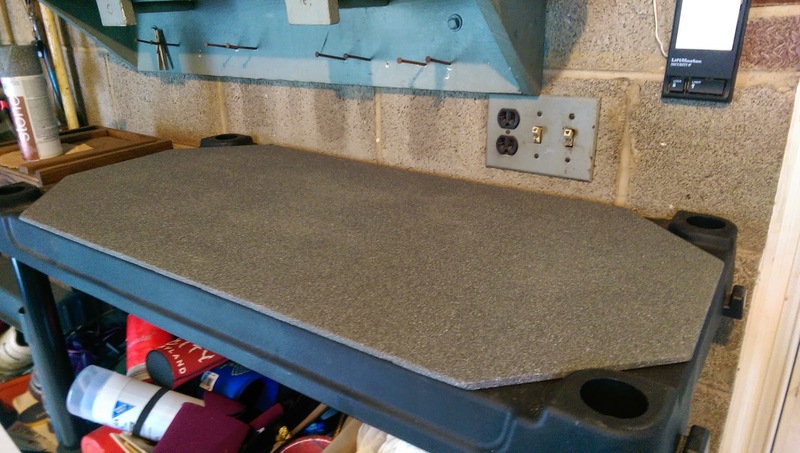 I needed to create a surface to cover the uneven top of plastic shelving in my garage. 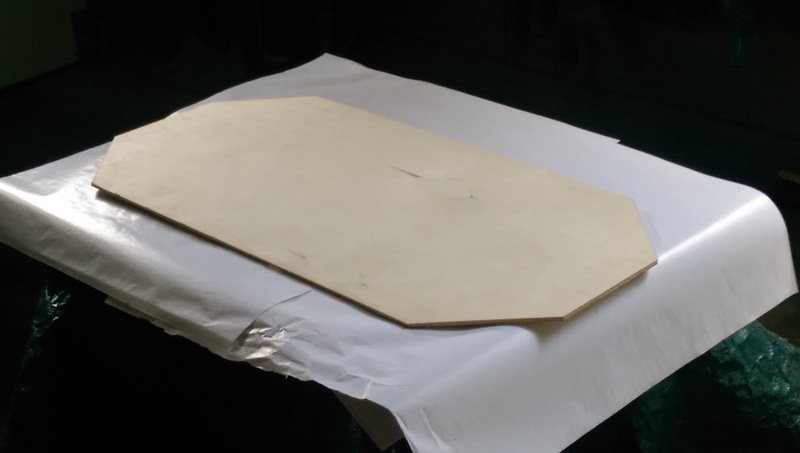 The solution was a thin sheet of plywood painted with Valspar Stone Spray Paint. 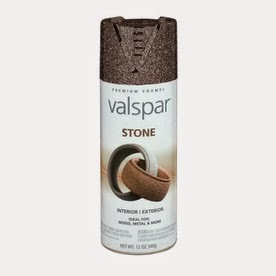 Looks and feels like stone. Truly remarkable! A couple years ago my wife and I took a long weekend trip to Charleston, SC. As we were having a pre-dinner cocktail at The Bar at Husk we noticed people coming down from the second floor holding empty whiskey bottles and amazed they could navigate the stairs so well. After seeing this occur a few times, we asked the bartender what was going on. 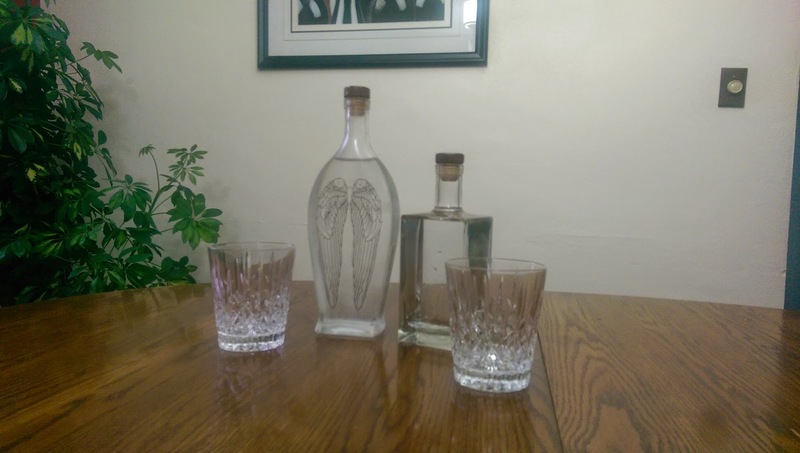 He explained that they serve water in old whiskey bottles stored in a small refrigerator. We thought that was a great idea and have been doing the same ever since. 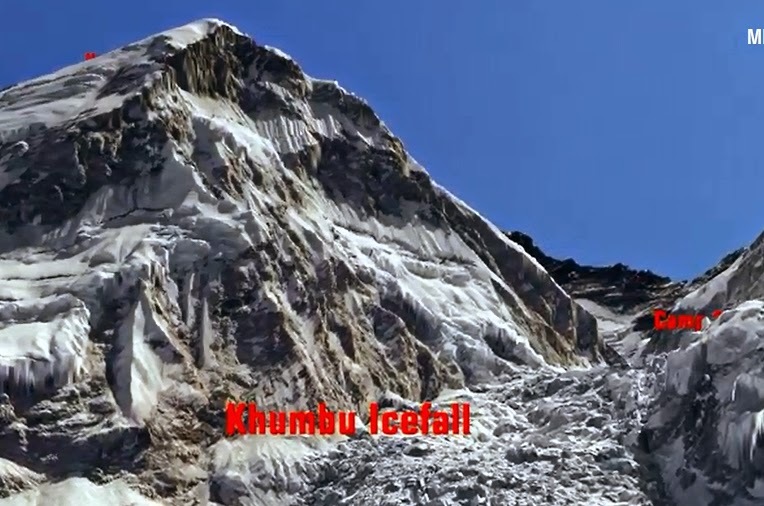 Experience the trek up Mount Everest, 29,029 feet above sea level, with a stop at The Khumbu Icefall, the site of a deadly avalanche. Then at the top hold and drag your mouse to see the 360 degree views. Thanks to Tom Anderson for passing this along. I saw this on the back of a T-shirt at the Alan Jackson concert last Friday night at The Fraze. 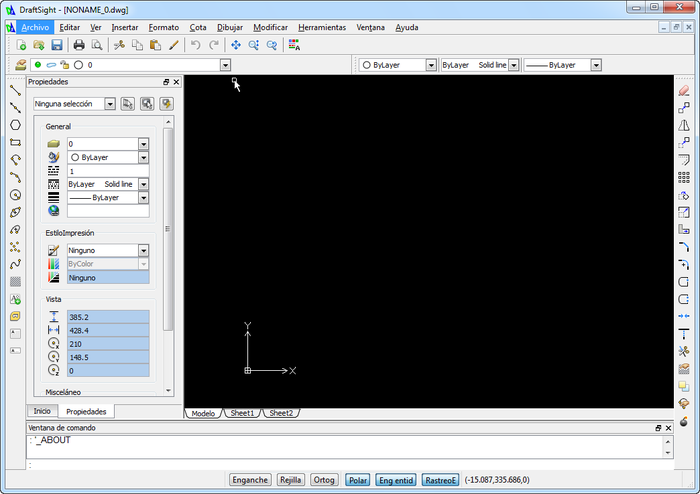 DraftSight is a computer-aided design package similar to the pricey AutoCad software, and while there are a number of other free (I love free) CAD options, DraftSight can read and write .dwg and .dxf (i.e. AutoCad's) file formats. The software has to be registered periodically, a small inconvenience for "libre software". Available on Windows, Mac, Ubuntu Linux and Fedora Linux. Somewhere along the tasty path of Android versions (i.e. 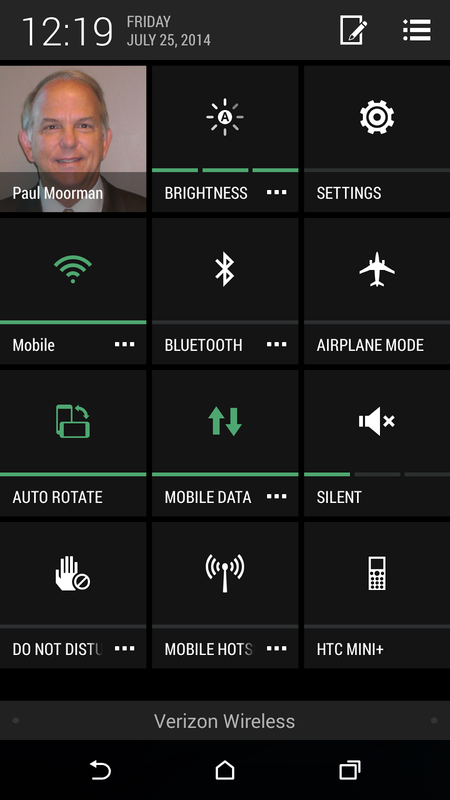 Jelly Bean, Kit Kat), a two finger swipe down from the top of the screen started bringing up a handy "Quick Settings" menu with many of the most often used toggles like Wi-Fi, Bluetooth and Do Not Disturb. It's also a quick way to get to Settings. And see a picture of your smiling self. 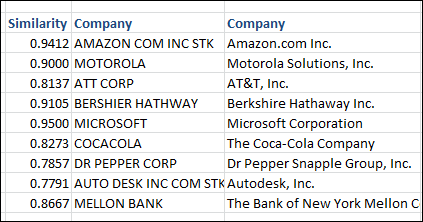 The Fuzzy Lookup Add-In for Excel performs fuzzy matching of textual data in Microsoft Excel. It can be used to identify fuzzy duplicate rows within a single table or to "fuzzy join" similar rows between two different tables. I used it yesterday to match two lists, each with a person's name, but not exact matches. Worked very well and was a BIG time saver.